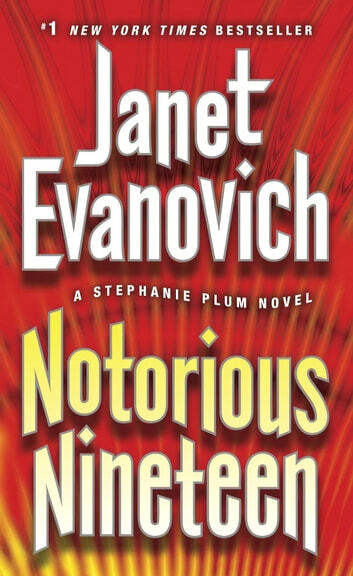 #1 bestselling author Janet Evanovich’s Stephanie Plum novels are: “irresistible” (Houston Chronicle), “stunning” (Booklist), “outrageous” (Publishers Weekly), “brilliantly evocative” (The Denver Post), and “making trouble and winning hearts” (USA Today). After a slow summer of chasing low-level skips for her cousin Vinnie’s bail bonds agency, Stephanie Plum finally lands an assignment that could put her checkbook back in the black. Geoffrey Cubbin, facing trial for embezzling millions from Trenton’s premier assisted-living facility, has mysteriously vanished from the hospital after an emergency appendectomy. Now it’s on Stephanie to track him down. Unfortunately, Cubbin has disappeared without a trace, a witness, or his money-hungry wife. Rumors are stirring that he must have had help with the daring escape . . . or that maybe he never made it out of his room alive. Since the hospital staff’s lips seem to be tighter than the security, and it’s hard for Stephanie to blend in to assisted living, Stephanie’s Grandma Mazur goes in undercover. But when a second felon goes missing from the same hospital, Stephanie is forced into working side by side with Trenton’s hottest cop, Joe Morelli, in order to crack the case. The real problem is, no Cubbin also means no way to pay the rent. Desperate for money—or maybe just desperate—Stephanie accepts a secondary job guarding her secretive and mouthwatering mentor Ranger from a deadly Special Forces adversary. While Stephanie is notorious for finding trouble, she may have found a little more than she bargained for this time around. Then again—a little food poisoning, some threatening notes, and a bridesmaid’s dress with an excess of taffeta never killed anyone . . . or did they? If Stephanie Plum wants to bring in a paycheck, she’ll have to remember: No guts, no glory. 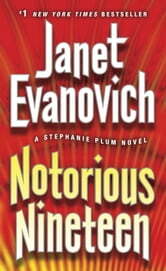 BONUS: This edition contains an excerpt from Janet Evanovich's Takedown Twenty. Another great addition to this always enteraining, laugh out loud series! Well done Janet Evanovich, well done. Love all of Stephanie Plum books. Great summer reads. Anytime Ranger and Joe Morelli is involved is always mouth watering. I love the disfunctional family and humor. Grandma Mazur is a great character that I can't get enough of. Can't wait to read Takedown Twenty. I think Janet Evanovich is a real good writer, each and every one of her books I have read I have enjoyed and I have read most of them and hope to enjoy more. Good and funny as usual. Entertaining to the end.